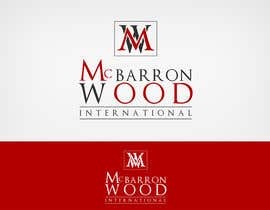 Hi we are an Executive Search Consultancy called McBarron Wood. We are expanding our service offering outside of Finance & Accountancy - to encompass many other areas and vertical markets and as such we are seeking a new logo and company branding. It is critical this says established, honest and integrity. If you would like more clarity please ask. The winner will also be asked to tender on the contract to build the all new website. We have clients across the globe NYC, Hong Kong, Singapore, Sydney - we are a truly internationally recognised Head Hunter. Give me your feedback if you like #102. Thank you. Hi can you tell me what is the name of your company and any logo you like? Company name is in the ad. McBarron Wood. check out http://www.morganmckinley.co.uk, http://www.odgersberndtson.co.uk/gb/home/, I like these sites - not so much their logos - however these sites are well known and their logos stand for integrity!